Taste test: True to their Wachusett heritage, these are really, really good chips. The mix of onion and garlic is just perfect, with just enough of each and not too much of either. I could eat these all day. 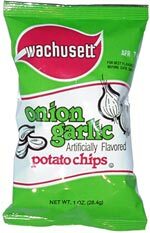 From the package: There's a mountain in Massachusetts (and a ski area on the mountain), both named after Wachusett, after the potato chips. 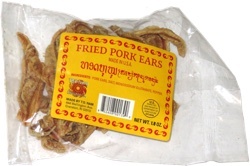 This snack was discovered by Jeremy at Armando's Pizza, Cambridge, Massachusetts.